"Feu rouge" and “Electro” are projects which show events determined by the duration of the red light. Videos were recorded during a car ride in the city of Córdoba (Argentina), in November, 2002 and June, 2007. At several crossroads of the streets, children and teenagers make diverse tasks for a small gain: cleaning of windscreen, sale of articles (pens, newspapers, etc), jugglery, acrobatics or others. 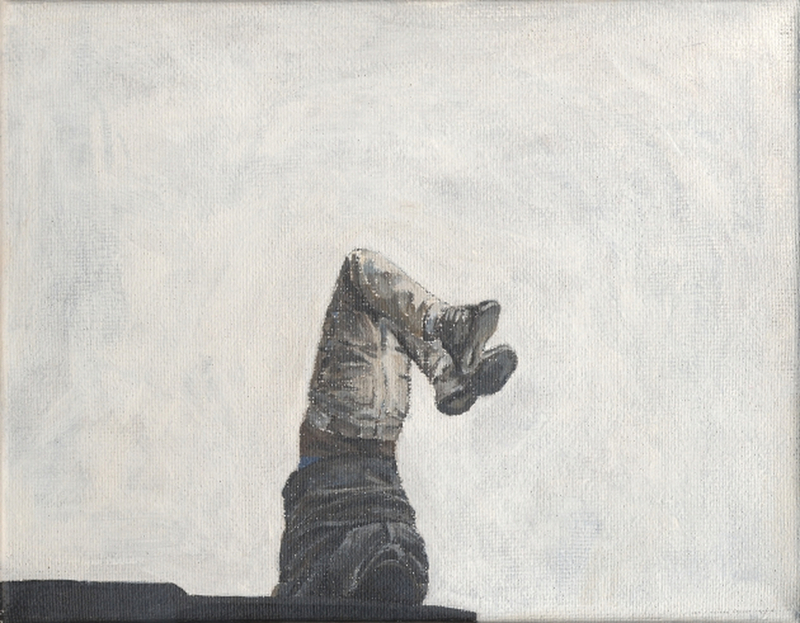 In this project the attention is payed to the child and its performance: he does a headstand during the red light. I imagine the moment when he learnt his skill and the training to reach the wished time. The video is made from embroidered drawings which reproduce in twenty sequences the movement of the child. I tried to establish a correspondence between the performance of the child and the realization of drawings, two manners to experiment the intense and dilated time. 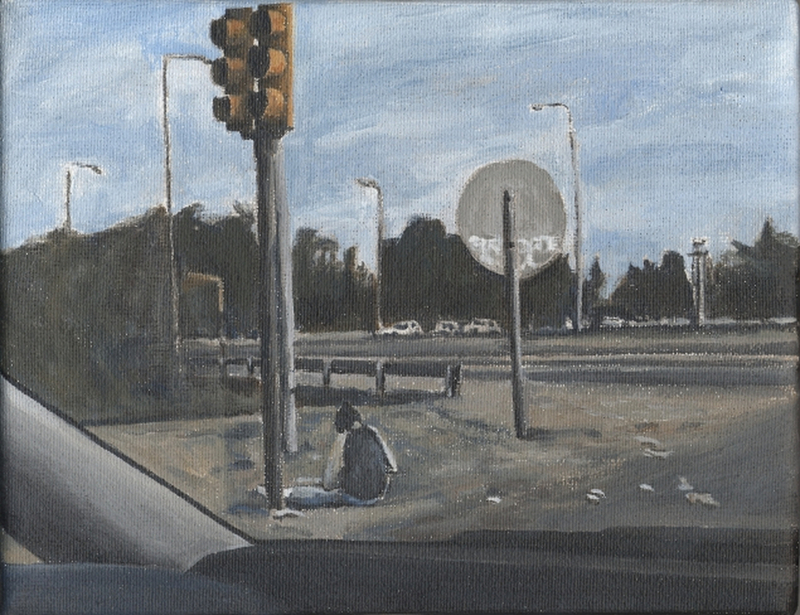 The images of paintings complete the scene where the action takes place. Sound by “Andrés y Ralf “ from the album "Armilla"